While the US received the WRX eventually, it was sold in Japan from November 1992. Japan also got many different models and engine power plants than the US vehicles. They are starting to turn 25 years old, and exempt from FMVSS requirements. There have been seven noted versions of the WRX dating back from Subaru's original World Rally Cross staging vehicles. Subaru adopted the name "WRX" to stand for "World Rally eXperimental" (in some places WRX stands for "World Rally Cross") as all WRX versions (1992 to present) feature rally inspired technology, including all wheel drive, stiffened suspensions and turbocharged four cylinder engines. The STI versions were marketed with consecutive numbers. Another way to determine the version of a WRX was to look at the chassis code. 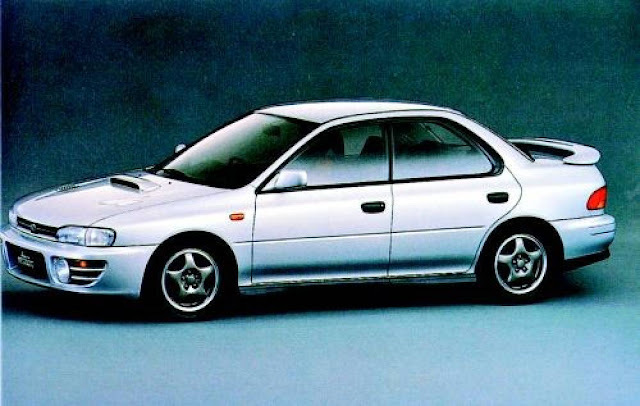 All WRX sold between 1992 and 2000 have the beginning chassis code of GC8 sedan or GF8 hatchback; this is followed by a letter from A to G. Coupe versions share the "GC" code with sedans, except in the US, where they have a separate chassis code of "GM". The WRX debuted in November 1992 with 240 PS (176.5 kW; 236.7 hp). The center differential was a viscous coupling type, the rear limited slip differential was a viscous type. The WRX Type RA is a stripped down version of the WRX that was available in the Japanese market for people to purchase for motorsports and tuning. Targeted for race and rally, the RA versions were generally lighter in weight; featuring reduced soundproofing, manual windows, no air conditioning, no anti-lock brakes, and added racing features such as more robust engines, driver controlled center differentials, and shorter gearing. The WRX Type RA uses a closer ratio gearbox and a three-spoke leather steering wheel from Nardi. 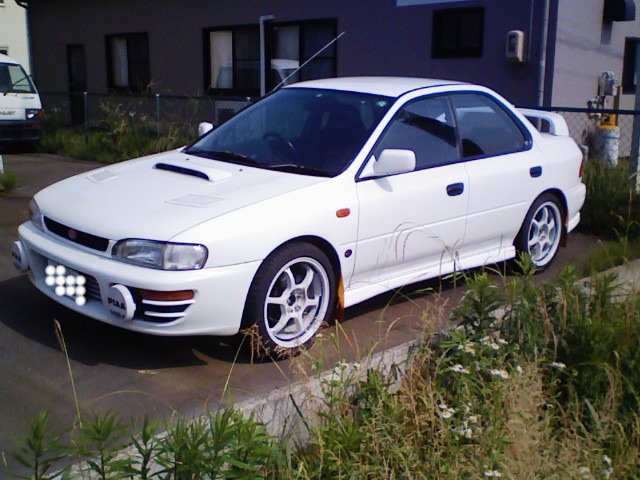 In Europe, the WRX was introduced as the Impreza GT, and as the Impreza Turbo 2000 (UK). It came with 208 hp (155 kW; 211 PS). In the United Kingdom, Subaru offered six "WRX 1.8 GL" in 1993. The firm imported six Type RS's, the development car that led to the stripped-out Type RA. Three cars went to Prodrive; three were retained by Subaru UK and were subsequently sold. For UK car certification reasons they were registered as "1.8 GL" despite having the 2.0-liter turbocharged engine. Find your USA legal 25 year old Subaru WRX here.